The Last Ghost Dancer is the second novel published by Tony Bender, an award-winning newspaper columnist best known for his humor column. 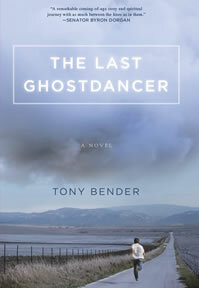 Technically, The Last Ghost Dancer is Bender’s first novel—a novel so ambitious for a debut effort, Bender says his vision for the book exceeded his ability at the time. Now, almost a decade and seven edits later, The Last Ghost Dancer is the book Bender says he was always driven to write. In the vein of The Last Picture Show and Even Cowgirls Get the Blues, The Last Ghost Dancer is a coming of age novel—and more. It’s a story of a remarkable summer in a remarkable west river town. It is a commentary on the depth and breadth of friendships forged, of lovers lost, and the realization that it is the journey that is of import, and not so much the destination. The narrator, Bones, is wry, funny, ever-observant, thoughtful and hapless; a grease monkey at the only gas station in Pale Butte. His most recent claim to fame is dropping a Ford Edsel off the hoist. Now, some 60 years later, Bones, a dreamer of apocalyptic dreams, reflects on miracles small and large and the spiritual discovery that marked the summer of 1977. Bones is forever touched by the wisdom of Joe Big Cloud, a Lakota medicine man with a mysterious gift and a mysterious past. Joe Big Cloud’s reverence for Mother Earth and his prophecy of a dramatic cleansing is a timely message for our times.